Wrestling is a popular and competitive sport at the high school level. Many middle schools have wrestling programs as well. But far too many athletes don’t have access to wrestling training before secondary school. You can help solve this problem by learning how to start a youth wrestling club. Through a wrestling club, children as young as four or five years old can gain exposure to the sport. You can also open your club to both boys and girls. A local wrestling program can enrich your community and grow future athletes for scholastic teams. There is a growing network of wrestling clubs in the United States and around the world. If you have experience with competitive wrestling–as an athlete, coach, or parent–you can found a wrestling club in your own area. Follow these four steps to share your passion for wrestling to new generations of youth athletes. You may also want to set aside some funds for awards, uniforms, and scholarships. This will help make your program engaging and accessible to youth participants. Once you know how much money you need, you can focus on acquiring funds. There are several ways to achieve this goal. You can seek grants or donations from community organizations. Another option is pursuing certain types of business loans. After establishing your program, you can gain funds through registration fees and fundraising. In time, you can look towards hosting your own meets. That can help you earn more through admissions, concessions, and other fees. Space: You need a wide open space with few to no obstructions. Keep in mind that wrestling mats are usually 38 square feet. Consider how many you’ll need to start–and plan for room to grow. Amenities: You must plan for more than training space. At a minimum, your athletes need access to bathrooms and changing facilities. Extras like vending machines and water fountains are always a great idea. Cost: Facility costs can be one of your largest expenses. You may find space at a high-end sports complex–but it won’t come cheap. Schools or community centers are often much more affordable. Location: Aim to pick a site that is easy to find and near major thoroughfares. This will make it convenient for families to attend practices and help your club grow. Many wrestling clubs use school-based facilities. There are many advantages to this approach. First, schools often have wrestling rooms, locker rooms, and other amenities. They’re often quite affordable. And it’s easy to connect with potential youth participants who attend the school, or the local high school coaching staff. Other facilities cost more–but can be the right choice if you plan to have a large club. You may also appeal to athletes who don’t want to affiliate with a specific school. Consider your local wrestling community’s needs and long-range plan when choosing a facility. Before you start working with wrestlers, you’ll need to secure the right certifications. You need both coaching and club certifications. Here are essential facts on both. Often, you’ll need a coaching certification before you can pursue a club certification. Gaining a coaching certification typically involves education and testing. The process does vary by organization, however. USA Wrestling: This organization hosts many Greco-Roman and Freestyle wrestling events in the United States. National United Wrestling Association for Youth (NUWAY): This organization aims to drive the growth of the sport at local levels. Amateur Athletic Union: This organization promotes physical fitness by hosting competitions for many sports, including wrestling. After gaining your certification, you can seek certification for your club. Club certification means you’ll abide by the policies and guidelines of the organization you choose. You may receive valuable benefits such as training, promotional materials, and equipment discount. Review the costs and benefits for each governing organization to find the best fit for your club. Getting a strong, professional logo will go a long way to build credibility in your community and promote your club. It will also look great on your wrestling club’s apparel and singlets. The good news is you don’t need to be a graphic designer to get a great logo. It’s super easy to use a freelancing service like www.freelancer.com or www.upwork.com. Create a listing with specific details about the type of logo and you’ll get applications from designers to create the logo. Normally you can get a logo created in less than a week without breaking the bank by spending between $50 and $100. It’s super important to set up a website that wrestlers and parents can access to find information about your club, check practice schedules, tournament dates, and to register and make payments. A well-organized website can be a major asset for a wrestling club, and if you don’t have a website (or you have a weak website) you’ll miss the chance to connect with new wrestlers. It’s pretty simple to set up and create a website, and shouldn’t cost you more than $25 per month at first. If you want to add more features to your website you can always add them at a later date your costs may increase over time, but you can start small. A good place to start is to secure a domain name like yourwrestlingclub.com so the website is super easy to find and promote. Invite School Coaches: Many school wrestling coaches have solid wrestling knowledge. And they’re often excited to help the sport grow locally as well. Seek Out Guest Clinicians: Are there any successful wrestlers in your area? Ask them to join your staff or host clinics. Accept Volunteers: Many wrestling alumni have know-how and experience to share. Current high school and college-level wrestlers often enjoy working with youth too. Advertise: Consider an ad in the local paper or a job board to find prospective coaches. Remember to set aside funds to pay coaches. You can offer rewards–like coverage for meet fees and free club attire–to volunteers too. This will help you attract the best coaching talent to inspire your wrestlers to grow. 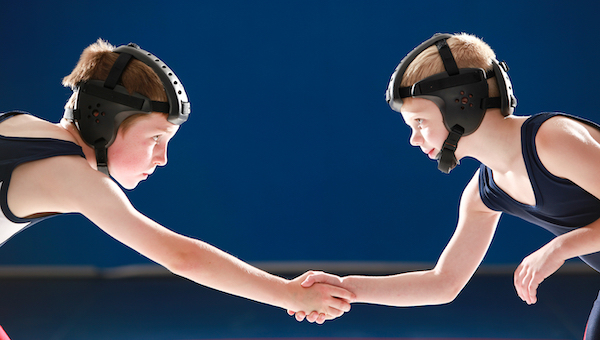 Have you wondered about how to start a youth wrestling club? You’re not alone. The sport has a strong grassroots following and many passionate devotees. Running a wrestling club takes planning and hard work–but it can be very rewarding. Focus on finances, facilities, certifications, and coaches in the beginning. That way, you’ll set your club up for long-term success. You can start small and grow over a few seasons. At first, attracting wrestlers and teaching fundamentals can be a good goal. In time, you can focus on attending meets and becoming more competitive. One day, you may see your wrestlers gaining acclaim at regional, state, or national levels. Never forget that the power to unlock the potential within today’s young wrestlers rests with you. At Jersey Watch we help wrestling programs manage their websites, registration, online payments, and communication. If you’d like to learn more visit www.jerseywatch.com/wrestling, or send us a message at help@jerseywatch.com!